Why Are CPO Programs Becoming So Popular? Read on to learn more about the benefits of going CPO. Each FIAT CPO takes advantage of a 6-year/80,000-mile Comprehensive Limited Warranty from the date of new-car purchase. Better yet, that warranty is transferable to a subsequent owner – that’s not the case with plenty of programs, and it’s vital for retaining resale value. Buying used remains the top choice for those on a tight budget, and modern vehicles routinely make it up towards 200,000 miles without becoming unreliable. That said, CPO models aren’t such a financial step up from regular used ones since vehicles lose most of their value in the first two years. More importantly, CPOs are extensively inspected, with all worn parts switched out with OEM replacements. Owners of a CPO vehicle also get to enjoy all those welcome incentives mentioned above. Costs are higher when leasing or buying a new vehicle. What you’re paying for is the latest features, up-to-date styling, and the peace of mind that comes with driving a model never owned by another driver. But CPO models must be under a certain age to be eligible, so most offer modern features, if not cutting-edge, and the price difference lets you upgrade to a better-equipped trim than you’d be able to afford new. 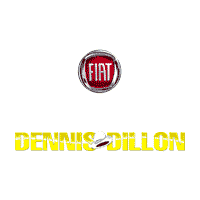 Whether you’re shopping used, buying new, or are intrigued by FIAT CPO benefits, visit Dennis Dillon FIAT today, and let us help you find the perfect model.